Know of one that would be good to post here? Send me email with the link! Here Come the Bikes - 3 September 2008, Pacific Northwest Inlander. Seattle Bikes: Encouraging rides - 26 December 2007, Seattle P-I. Should bicyclists be licensed to ride? - 25 December 2007, Seattle P-I. Cyclists, skinny tires, streetcar rails -- not a good mix - 6 December 2007, Seattle Times. Seattle's ready to peddle the pedal - 23 November 2007, Seattle Times. Critical Mass cyclists ride over others' rights - 18 November 2007, Seattle P-I. Safety a driving concern along Burke-Gilman Trail's 'missing link' - 11 November 2007, Seattle P-I. Seattle Bikes: A real rider's town - 6 November 2007, Seattle P-I. City backpedals on healthy road option - 27 August 2007, Seattle P-I. Getting There: Sounder trains are designed to carry bicycles along with people - 20 August 2007, Seattle P-I. New 'sharrows' a friendly reminder to city's motorists - 11 August 2007, Seattle P-I. Burke-Gilman Trail to reopen, but still cyclists fume - 2 August 2007, Seattle P-I. Burke-Gilman trail near Fremont Bridge will reopen - 1 August 2007, Seattle P-I. Pedaling into the Sunset: New Leader, New Course for BTA - 26 July 2007, Portland Mercury. Burke-Gilman trail given right of way in Lake Forest Park - 26 July 2007, Seattle Times. Bicycle trail wins in Lake Forest Park - 25 July 2007, Seattle P-I. Bicycle Shame (Bicycle Neglect #6) - 25 July 2007, Sightline Institute. Some allege backpedaling with changes to bike plan - 20 July 2007, Seattle Times. Why we bike -- or don't - 13 July 2007, Portland Tribune. Life in the bike lane - 9 July 2007, Seattle Times. Pierce County bike map delayed, but statewide version available - 5 July 2007, Tacoma News Tribune. What bike-friendly looks like - 2 June 2007, Crosscut. Making sharing the Mercer Island loop safer - 31 May 2007, Seattle Times. Thousands of cyclists answer Friday roll call - 19 May 2007, Seattle Times. Cycling needn't be life-threatening - 13 May 2007, Seattle P-I. Trail advocate's urban dream comes true - 10 May 2007, Tacoma News Tribune. Cascadia is North America's bicycle-commuting capital, but look at Europe - 9 May 2007, Crosscut. Becoming uninvisible: taking Seattle's bicycle plan for a ride - 8 April 2007, Crosscut. Nickels has $240 million plan for better biking in the city - 5 April 2007, Seattle Times. Nickels unveils bicycle master plan, aims to triple commuter cycling - 4 April 2007, Seattle Times. Paris tries pushing pedal power - 26 March 2007, Seattle Times. Letting bicycles and cars coexist - 8 December 2006, Seattle P-I. Seattle rolls out Bicycle Master Plan - 6 December 2006, Seattle Times. Wheeler Dealers: Seeing a shift in opportunity, cyclists are riding a spurt of political power - 22 October 2006, Pacific NW Magazine (Sea Times/P-I). Seattle Bikes: Bumps in the plan - 4 September 2006, Seattle P-I. Toward a safer Seattle for bicyclists: 400 riders weigh in to help create a pedal-friendly city - 30 August 2006, Seattle P-I. Bicyclist won't be charged with felony for assaulting deputies - 27 July 2006, Seattle P-I. Drivers need to watch for bicyclists - 29 May 2006, Herald Net. Cyclists stake quiet claim to the road - 18 May 2006, Herald Net. Bicyclists face rough ride in region - 14 April 2006, Seattle P-I. Pedaling to work works - 8 April 2006, Seattle Times. Watch for bikes when passing - 24 October 2005, Herald Net. Crossing paths: Cyclists and motorists are far apart on rules of the road - 29 August 2005, Seattle P-I. Behind the wheel: Drivers sound off about reckless cyclists - 29 August 2005, Seattle P-I. Behind the handlebars: Cyclists sound off about dangerous drivers - 29 August 2005, Seattle P-I. 'Ghost bikes' offer eerie reminder to share the road - 3 August 2005, Seattle P-I. "Ghost bikes" eerie reminders of accidents - 2 August 2005, Seattle Times. Bicyclists vs. homeowners: Facing off on a trail of fears—Debate over changes to Burke-Gilman in Lake Forest Park is coming to boil - 26 May 2005, Seattle P-I. Getting There: Even on a bike, the law is the law - 22 September 2003, Seattle P-I. Mayor vetoes restrictions on Burke-Gilman Trail - 8 June 2004, Seattle Times. Use your head: Wear a helmet - 21 September 2003, Seattle P-I. Getting There: Why do bikes have to stop at those trail crossings? - 14 July 2003, Seattle P-I. Getting There: Speeding cyclists are subject to the law -- and gravity - 24 June 2002, Seattle P-I. Crosswalks Cover Bikes, Court Says - 3 June 1999, Seattle Times. Cyclists Must Upgrade Traffic-Safety Skills - 9 July 1998, Seattle Times. 15-year-old driver kills jogger, injures Seattle child in Lopez Island accident - 27 July 2009, Seattle Times. Bicyclist fatally hit by SUV outside Bremerton - 5 July 2009, Seattle Times. One dead in car-bike collision near Aurora Avenue North - 2 July 2009, Seattle P-I. Bicyclist struck and killed by car in Seattle - 2 July 2009, Seattle Times. Quilcene bike rider killed on Highway 101 - 15 May 2009, Seattle Times. Family of Seattle cyclist killed by dump truck settles lawsuit - 28 April 2009, Seattle Times. UW lecturer dies after bicycle accident - 13 March 2009, Seattle Times. Fatal Vehicle vs Bicycle Collision - 4 February 2009, Seattle Police Department Blotter. Bike rider killed in Ballard - 4 February 2009, Seattle P-I. More Details On This Morning's Bike Accident - 4 February 2009, The Stranger. Judge orders police to release Montlake bike crash records - 4 February 2009, Seattle P-I. Hit & Run, Vehicle vs Bicycle - 6 January 2009, Seattle Police Department Blotter. Cycling enthusiast hit by car - 14 December 2008, Seattle Times. Bicyclist struck by car, dies in morning traffic collision - 11 December 2008, Seattle P-I. Spike in S.F. traffic deaths, injuries - 15 November 2008, San Francisco Chronicle. Bicyclist injured in 2007 Ballard Bridge crash dies - 14 November 2008, Seattle P-I. Bicyclist killed in Sumner - 18 September 2008, Seattle P-I. Car/Bicycle collision at 7th Avenue S & S Jackson St. - 17 September 2008, Seattle Police Department Blotter. Hit-run driver kills cyclist in Puyallup - 9 September 2008, Seattle P-I. Driver of pickup that hit bicyclist cited - 2 July 2008, Seattle P-I. No jail for driver who killed pedestrian - 29 February 2008, Seattle P-I. Rabbi who hit, killed pedestrian gets two years deferred - 29 February 2008, Seattle Times. Prosecutors won't file felony charges in fatal bike accident - 27 February 2008, Seattle Times. Police looking for driver who hit and left bicyclist in Fircrest - 19 February 2008, Seattle Times. Man arrested following death of bicyclist on Lummi Reservation - 21 January 2008, Seattle Times. Family sues driver, firm in cyclist death - 12 December 2007, Seattle Times. BB shooting attacks in Seattle area grow to 8 - 16 November 2007, Seattle P-I. Bicyclists honor a fallen friend - 4 November 2007, Seattle Times. Bicyclist shot with BB pellets - 3 November 2007, Seattle P-I. Memorial ride held for cyclist who died in September wreck - 3 November 2007, Seattle P-I. Cyclist struck, killed by truck - 8 September 2007, Seattle P-I. STP cyclist counts lucky stars after collision - 17 July 2007, Seattle P-I. Skyway hit-and-run injures boy on bike - 6 Sept 2007, Seattle Times. Bicyclist critically hurt in Ballard Bridge crash - 6 July 2007, Seattle P-I. Car-bicycle crash claims life of missionary - 4 May 2007, Seattle P-I. Squad car and bicyclist collide; officer, rider hurt - 1 February 2007, Seattle P-I. Vehicular Homicide: Better fit the crime - 17 December 2006, Seattle P-I. Judge laments state's sentencing limits - 10 December 2006, Seattle Times. Man sentenced for hitting bicyclist - 9 December 2006, Seattle P-I. Accident victim was recent cycling convert - 29 September 2006, Seattle Times. Cyclist in West Seattle collision dies - 28 September 2006, Seattle Times. Doctor charged in drive-by shooting - 27 July 2006, Seattle P-I. Bicyclist killed by car on trail identified - 21 March 2006, Seattle P-I. Bicyclist is struck, killed by speeding car - 18 March 2006, Seattle P-I. Bicyclist struck and killed in south Seattle - 18 March 2006, Seattle Times. Police look for Lexus that hit bicyclist - 16 December 2005, Seattle P-I. Bicyclist dies; car driver is charged - 12 October 2005, Seattle P-I. Woman struck by car while riding bike dies - 11 October 2005, Seattle Times. Man charged with vehicular assault - 22 September 2005, Seattle P-I. Seattle cyclist in hospital after accident near Granite Falls - 27 June 2005, Herald Net. Man pleads guilty in fatal hit and run - 29 November 2003, Seattle P-I. Injured bicyclist settles lawsuit for $710,000 - 22 January 2005, Seattle Times. Snoqualmie Ridge mourns loss of boy - 25 June 2004, Seattle Times. Driver charged in bicyclist's death - 13 September 2003, Seattle P-I. Teens convicted of assault on pastor—Victim still recovering from drive-by attack while riding his bicycle - 20 November 2002, Seattle P-I. Hit-and-run driver gets seven years - 10 October 2002, Seattle P-I. Bicyclist dies in crash; police seek witnesses - 6 November 2002, Seattle Times. Man charged in running down bicyclists on sidewalk - 27 August 2002, Seattle P-I. Bicyclist killed along Pierce County road - 26 July 2001, Seattle P-I. Inquest into bicyclist's death set for Oct. 22 - 21 July 2001, Seattle P-I. Troopers seek help finding hit-and-run car and driver - 11 May 1999, Seattle P-I. Bicyclist Killed Near Alderwood Mall - 15 March 1999, Seattle Times. Sentences Handed Down In Cyclist's Hit-And-Run Death - 9 December 1998, Seattle P-I. Bicyclist Fatally Injured - 6 December 1998, Seattle Times. Tearful End To Drunken Driving Case—Driver Who Killed Bicyclist Gets Six Years - 8 July 1995, Seattle P-I. Driver To Be Sentenced In Fatal Crash—Cyclist's Death Evokes Feelings Of Anger, Fear - 3 July 1995, Seattle P-I. Bicyclist Suffers Injury When Struck By Hit-And-Run Driver - 31 May 1995, Seattle P-I. Hit-And-Run Accident Kills Bicyclist On Westlake - 18 January 1995, Seattle P-I. Cyclists Invited To Join Juarez Funeral Procession - 19 October 1994, Seattle P-I. Man Gets 6 Years In Hit-And-Run Death—Victim's Family Pleads For Harsh Term - 21 May 1994, Seattle P-I. Trial Opens In Death Of Young Cyclist—Prosecutors Contend Driver Of Van That Hit Three Was Drunk And Speeding - 10 March 1994, Seattle P-I. Ride Description: Flat, 14 mile loop from Gasworks to Downtown to the U-District. Ride Leaders: No official ride leaders - volunteer ride coordinators will assist. 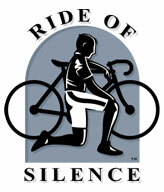 For more information and contact information check out the www.rideofsilence.org website.